When you’re throwing your clothes in the wash, you probably reflexively turn on the warm cycle. The hotter the water, the cleaner the clothes, right? Not so. As we learned from io9, washing your clothes in warm water isn’t going to get them all that much cleaner than cold, and the latter is better for the environment, your wallet, and, in the long run, your wardrobe. While hot water was once the best choice for washing clothes, over the last decade or so, companies like Proctor and Gamble have developed new detergent technology that can work as well in cold water as in warm water. (Powder detergents still typically require warm water to dissolve, though.) Some washing machine manufacturers have also come out with machines that rely largely on cold water cycles. Washing in cold water is also better for your clothes in several ways. Some types of stains will only come out in cold water. Protein stains—like blood and sweat—will just set in further if you wash them in warm water. And warm water can cause dyes to bleed and fabric to shrink, whereas clothes washed in cold water will stay brighter and keep their size and shape for longer. Cold water is the greener option, too. A full 90 percent of the energy required to power your washing machine goes into heating the water, according to Energy Star. Washing your laundry in cold water can prevent hundreds of pounds of carbon dioxide emissions every year. And when you save energy, you save money. 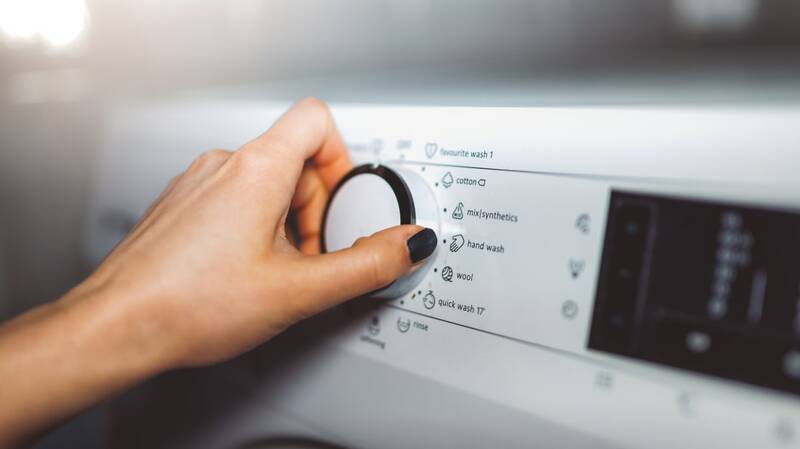 Personal finance blogger Trent Hamm of The Simple Dollar estimates that switching to cold water washes instead of warm or hot could save the average family more than $200 a year. While some experts recommend washing truly germ-ridden items—like dirty diapers—in warm or hot water, for most clothes, cold water will work just as well. Personally, the warm water function on my washing machine is completely broken, and the cold cycle has never failed me yet, even when tackling my smelliest, most disgusting gym and gardening clothes.